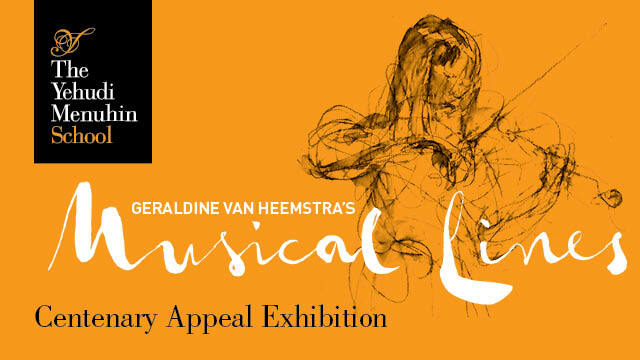 The artist Geraldine van Heemstra has spent the last year as artist in residence at the Yehudi Menuhin School where she has been drawing the pupils and teachers as they rehearse and perform. There is an exhibition of her drawings, etchings and oils, Musical Lines, at the A and D Gallery, 51 Chiltern Street, London W1U 6LY from 21 to 25 June 2016. All proceeds from the sale of works of art will go to the Yehudi Menuhin School's Centenary Appeal and after the exhibition at the gallery, the works will be displayed at the Yehudi Menuhin School for the remainder of the centenary celebrations at the school. Saturday 25 June, 3pm - Bach's Partita No. 3 for solo violin.